The value of Artifact cards has dropped precipitously since launch, and it now costs less than $100 to build a complete collection. That’s a good thing if you’re looking to build a big variety of decks, but it paints an unseemly picture for the health of the game – and for Valve’s big experiment in designing around a card marketplace. Artifact’s player count has dropped off significantly since launch, the health of the market has followed suit. Online price trackers show the cost of the collection over time, and values have been going even lower in the new year. A full collection containing one of each hero card and three of each other card – enough to build every possible deck in the game – commanded over $300 at launch, and we’re down to less than a third of that. The game’s most valuable card is still the hero Axe, but that price is down to less than $5, less than a quarter of its early value. Perhaps the most damning stat is that about half the game’s cards are priced at just four cents – the absolute minimum that Steam will allow. In theory, card prices should bottom out at five cents, since that’s the value a card has when crafted into an event ticket. That’s assuming that players are selling cards with the intent of putting that money back into Artifact’s economy – but judging by both decreasing card values and dropping player count, they’re not. 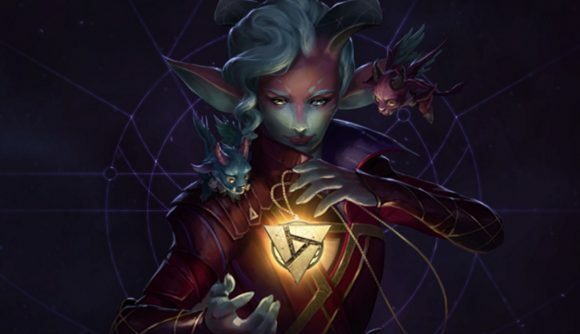 Artifact has dipped out of Steam’s top 100 games, and as Steam Charts shows, this week has seen it occasionally dropping below 2,000 concurrent players. As I wrote in our Artifact review, the core of the game is wonderful – but Valve still hasn’t proven the value of its card market and efforts to keep players coming back haven’t been working.